Teenage best friends CiCi and Francesca made a decision that haunted them for the rest of their lives. What started as a celebration of Francesca's eighteenth birthday became a tragedy with repercussions neither could ever have imagined. Four years later, after keeping the incident buried, a blackmailer enters their lives, threatening to expose their secret. In the idyllic resort town of Round Lake, Jet Skiers, swimmers and boaters center their lives on their upscale waterfront homes in their picturesque, peaceful Wisconsin town. Who would expect it to be torn apart by the selfish decisions of the wealthy few? Who would guess that underneath this picture of serenity lay murder, deceit--and more murder? 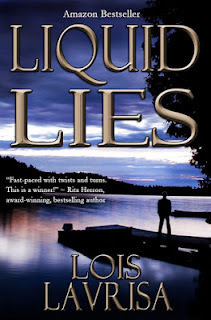 Liquid Lies combines mystery's twists and unexpected turns with a touching coming of age story. As CiCi finds herself in the midst of a hideous chain of events, she must wrestle with lies and their unintended consequences. In the process she confronts her own worst demons, finding herself enveloped in a turbulent vortex of events. Lately it seems as though all I have been reading is related to the paranormal in some way or another. Now that is all to the good but I am unable to maintain that as a steady diet or they will all start to run together. My genre of choice to break things up is romantic suspense. I find that they tend to shake loose any preconceived notions especially if the zombies aren't behind the local rash of killings. And they aren't in LIQUID LIES. 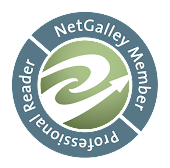 This is a very smooth romantic suspense with a lot of twists in turns. I very much enjoyed meet CiCi and her unusual cast of friends. And she would be the last person that I would expect to be running about trying to find out just who and why the murder was committed. LIQUID LIES is a book with great characters, danger coming from all directions and a lot of unanswered questions. And let's not forget that even though I thought that I had the villain figured out a few times and was wrong. All the ingredients for a romantic suspense and Ms. Lavrisa does deliver. I am just left with a few unanswered questions bugging me such as why would a tiny resort town need a top of the line cardiac center? And the one that bugs me the most is how flighty CiCi's emotions seem to be in the game of love and this is after she is pictured as the sensible one. I found these to be plot devices that really caused me to question the story rather then be taken along for the ride. I rate this book a 3.2.